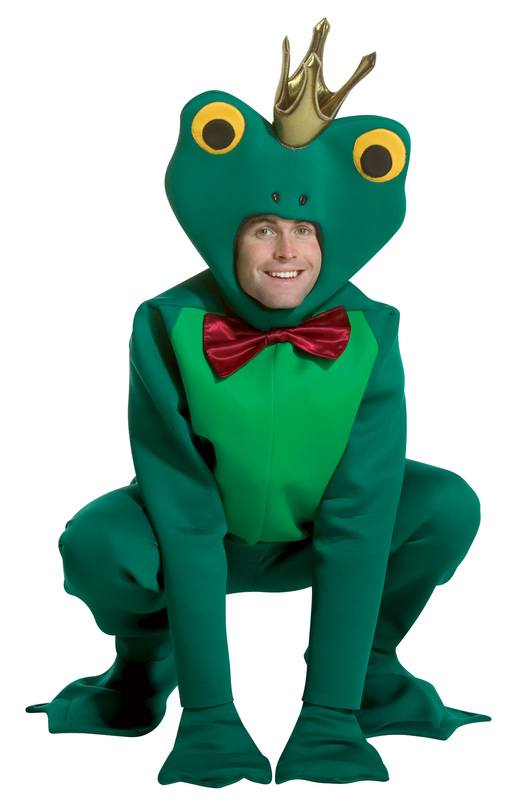 The Frog Prince costume includes green pants with matching shoe covers. Two-toned green top with attached red bow and frog prince headpiece are also included. Available in adult size X-Large.